Outdoor Games For Kids - Experience The Fun! 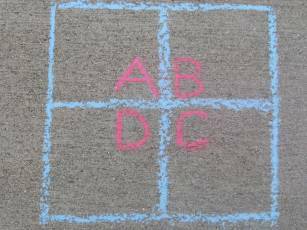 As the children approached school age, we were looking for some fun outdoor games for kids to play. We weren’t only concerned with what to play, but who they played with. That is when we decided to organize a game night for our local homeschooling families. We called it Family Fun Night and it drew families from miles around. The first thing I did was get the okay to use the public school playground a couple of evenings a month. It was convenient as it provided playground equipment for the young ones and a lot of running space for the older children. To make the time easy to remember, we chose to meet on the 2nd and 4th Friday night of each month. Okay, we have a place, time, kids…now what? Yes, what! What were some fun outdoor games for children? The little ones were easy, they would be content playing on the playground equipment. But the older ones required a little more thought. Once they got together, though, they pretty much decided among themselves. Below is a list of the most popular outside games for kids. Baseball - Remind everyone to bring their balls, bats, and gloves for this one! The school yard where we went had a diamond for us to use. Capture the Flag - Divide up your area into two parts, like the front yard and the back yard if you’re at home. Each team gets a part. Both teams have a flag that they try to hide. (Your flag can be anything from a cone to someone’s hat.) Both teams try to capture the other team’s flag at the same time, without being tagged. You can be tagged if you’re in your opponent’s territory. If you’re tagged, you go to the other team’s jail. (A designated spot.) To get out of jail, one of your team members has to tag you. The first person to capture the other team’s flag and get it back to their area, wins. Dodge Ball - Played just like it sounds, dodge the ball! One or two people are in the center of a circle and try to avoid getting tagged with the ball. If the ball touches anyone inside, the person who threw the ball now goes inside to “dodge”. Try having a couple of balls going at once! Football (Touch for Mom!) - Mostly a guy game, but has become very popular. They don’t actually tackle each other, which is why it’s called Touch Football! Four Square - You need at least four people to play this game. Chalk an area on the cement as shown above. Each player stands in one of the “quarters”. The object of the game is to bounce the ball in an opponent’s quarter so that it then bounces out-of-bounds (outside the big square). Your opponent attempts to bounce the ball into another quarter without letting it go out-of-bounds. If it does go out, the person who’s quarter it last bounced goes in the “D” quarter allowing everyone to move up one. You want to end up (and stay) in the “A” quarter. It's one of those challenging outdoor games for kids. Ghosts in the Graveyard - This is a version of Hide ‘n Seek. One person hides and everyone else comes to look for them. The person who’s hiding can pop out anytime they want (some say they have to be seen first) and try to tag the people before they get back to base. That can be a tree or a swing or picnic table. It is more fun in the dark, of course. Unless you’re afraid of the dark, like me! Sardines - The reverse of Hide ‘n Seek. Instead of everyone hiding on one seeker, everyone seeks the hider. Once you find that person, you hide with them until the last one finds you all. Everyone must squeeze into the hiding place, hence the name Sardines. Sobre, Sobre - We learned this game from Maria, our Spanish foreign exchange student. She was here one summer and taught it to our group. Sobre is a common Spanish preposition that has a variety of meanings, but I believe in this case it means “Over” or “Above”. Everyone forms a circle around the person with the ball. As she throws it high in the air she yells, “Sobre, Sobre”, while everyone else scatters. Then when she catches the ball again she yells, “Stop”. She then takes three giant steps to get closer to someone who she can hopefully tag with the ball. The tagged person now tosses the ball. Ultimate Frisbee - This is one of our favorite outdoor games for kids, especially if you find a Frisbee that lights up. (Evenings get dark up here way too early!) It’s similar to football, only once you catch it you can’t run with it and there’s no tackling. You form teams and keep the Frisbee continuously moving down the field until you get past the score line (an imaginary line determined beforehand). I hope you have as much fun playing these outdoor games for kids as we have!